Why is central India such a crucial area for the protection of wild tigers? Satpuda, in the heart of central India, is a stronghold for India’s estimated 2,000 remaining wild tigers. 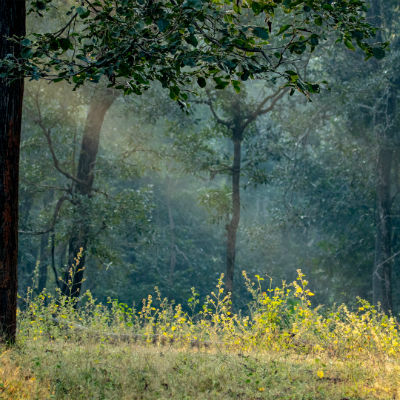 Despite being home to millions of people and so close to the city of Nagpur, the landscape’s lush green forests are the natural habitat of around 500 wild tigers and an abundance of wildlife, including leopards and sloth bears. The Satpuda landscape sits across two Indian states, Madhya Pradesh and Maharashtra, which contain seven tiger reserves. These reserves are protected areas and are linked by forest corridors. The protected area within the reserves is known as the core. The core is undisturbed, allowing wildlife to live peacefully and naturally. Development is not allowed and entry and exit is strictly monitored. Villages that were once in areas now designated as within the core, have been relocated. Land surrounding core areas is known as the buffer. Development is allowed in the buffer and daily life continues as normal – meaning communities within buffer zones live alongside the wildlife they share the Satpuda landscape with. The seven tiger reserves are connected by five forest corridors. These corridors allow wildlife to travel freely between reserves. It is crucial that the corridors remain intact to make sure wildlife does not become fragmented. While corridors are recognised as crucial for many wide-ranging species such as tigers, they are not under formal protection. However, when a new highway was built through a forest corridor within Satpuda, Born Free’s Living with Tigers programme worked to ensure that it was elevated so that wildlife could pass beneath it. “Central India is very unique,” explains Poonam Dhanwatey, co-founder of the Tiger Research and Conservation Trust, part of Born Free’s Living with Tigers programme. 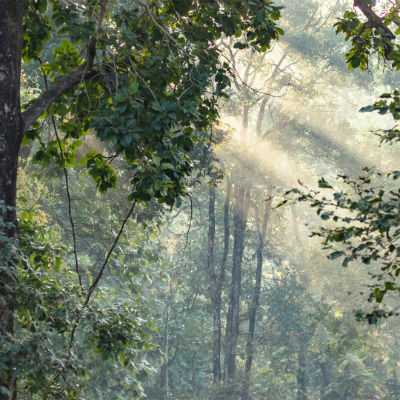 “It is probably one of the only areas in the country where you have forest outside of protected areas, and the corridors connecting them are intact. They are very green. “If the local communities understand the need to conserve, the need to co-exist and the need to protect animals and the forest, our tigers in this area are safe for centuries to come,” she adds. The work of Born Free’s Living with Tigers programme is carried out in the buffer with the local communities who live there. This work focuses on co-existence and the importance of conserving tigers and wildlife in the Satpuda landscape. The communities are actively encouraged to take part in co-existence initiatives and learn how to adapt their lives so they can live alongside wildlife compassionately and considerately.